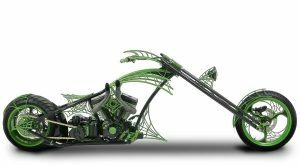 Paul and Paul Jr. over at “Orange County Choppers” have had some fierce arguments over the years. But nothing gets these hot heads going quite like a debate about the writing process. At least, according to this meme. Paul Sr. seems to favor an instinctive approach to writing, along the lines of Jack Kerouac, distrustful of the rational mind’s tendency to over-polish and refine; he wants the full truth of the unconstructed soul to pour forth in all its messy glory. However, Paul Jr. believes that the very essence of writing is revising, that the first draft is only the raw material that needs to be worked, revisited, laboured over, buffed and shined. Bizarrely, the argument takes a stunning twist at the end when a seemingly ambivalent Paul Sr. screams, “Kill your darlings!” which is clearly a call for cold, heartless revision. What’s up with that, Paul Sr.? No wonder Paul Jr. is always flinging down his cap in frustration. His father wants it both ways! But how much revision is too much? And where’s the line? Nobody knows at Orange County Choppers, that’s for damn sure. I’ll say this: they are passionate about good writing, and that’s a great place to start. We don’t really have any answers here at James Preller Dot Com, either. We’re just making it up as we go. Fifty-seven years and counting.